"As Labor Day rapidly approaches, it's a reminder that winter is just around the corner. Some people even call Labor Day Weekend "the kick off to the winter season." Why you ask? Because traditions like SkiBonkers happen on Labor Day Weekend! If you're looking for new gear, save up to 70% on ski and snowboard equipment and clothing from almost every manufacturer. 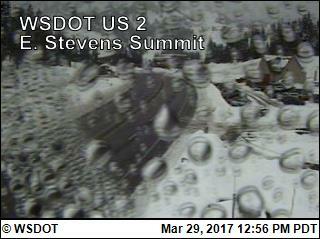 SkiBonkers runs Friday thru Monday in the Northgate Mall South Parking Lot (Exit 173 just off I-5). The best deals go quickly, so be sure to come early. For more info go to skibonkers.com. If you have friends or family members that didn't buy a pass for the 2004-2005 season, now is a great time to get them the best deal possible! Print this email and bring it to the staff from The Summit at SkiBonkers to receive our best price of $279 for an Unlimited Big S Pass, or $189 for a Midweek Big S Pass. This price is currently only available at Ski Bonkers! Don't miss out! 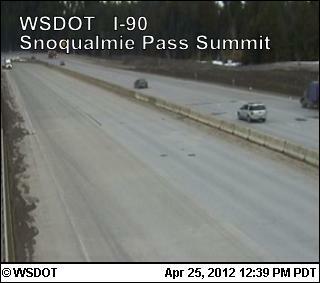 For more info on the Big S Pass, visit The Summit at Snoqualmie! And for all you faithful 2004-2005 passholders: the Reactivation Station is coming soon! You'll soon be able to reactivate your season pass by simply visiting our website and following the easy steps. Or simply stop by SkiBonkers where you can reactivate in person! All 2004-2005 season passes must be reactivated to be valid for the 2005-2006 winter season. Be sure to put your 2004-2005 season pass in a safe place. It's your ticket to escape! As always, Big S Passholders receive great deals on and off the snow. Be sure to check out the Big S Club for details on these great offers. We're adding new partners all the time, like the Seattle Seahawks! Well - I finally decided to sit down at my computer and add a couple of RSS feeds to this site. I added one for the current weather conditions and another for severe weather alerts at the top of the page. Both of these update frequently. I hope everybody is having a great summer. Take care.